Right now, federal, state, and local authorities in New Jersey and Philadelphia are inspecting suspicious packages on three cargo planes from Europe, which just landed in the U.S. and a UPS truck in Queens. But, hey, I’m sure someone named Tim–and not Mohammed or Ahmed–packed them, right? United Parcel Service Inc. said the U.S. Federal Bureau of Investigation is inspecting possible suspicious packages on three jets that flew in from Europe. A Boeing Co. 767 from Paris and an MD-11 from Cologne, Germany, both landed safely in Philadelphia, and items on board are being investigated, Mike Mangeot, a spokesman for Atlanta- based UPS, said today in a telephone interview. The third plane is a 767 that arrived at New Jersey’s Newark airport from East Midlands, U.K., Mangeot said. The FBI and the Transportation Security Administration haven’t given UPS further details about the nature of the packages or what is under investigation, Mangeot said. He said he wasn’t aware of any visible signs of smoke or fire from the packages or on the planes. The Newark plane was already cleared and took off to another location. 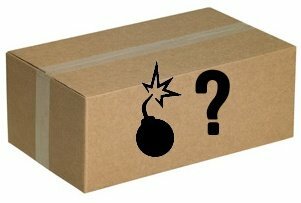 But even if these packages are just false alarms, this is clearly someone testing the system or doing a dry run with suspicious packages. It’s just too much of a “coincidence” that this happened with three separate UPS cargo plane from Europe and roughly the same time. Somebody is clearly gauging the reaction and trying something. A United Parcel Service delivery truck was also being investigated in New York City’s borough of Queens. “It’s a UPS truck. We’re investigating what we believe is a possible explosive device on board that truck,” said New York police spokesman Paul Browne. As our friend, Fred Taub of Boycott Watch, points out, this proves, yet again, that we were correct in opposing the Dubai Ports Deal–in which the Bush Administration pushed for Dubai Ports a/k/a DP World to run our ports. If we cannot control what cargo goes from Europe and elsewhere to U.S. soil, we’d be crazy to trust the control and handling of it at the U.S. entry point to a Muslim nation that aided and abetted the 9/11 hijackers. How is it that these packages only became suspicious after the planes were already in the air? It isn’t like someone saw a passenger act suspicious or actually try to do something. And it isn’t just one package. The only answer I can think of would be a tip, probably given anonymously. To me this means that this is a dry run. Actually, my guess is that first name on the return slip of the one from Germany indicates something like “Hans” or “Fritz” while the one from France says “Jean Luc” or “Pierre,” although the chances are pretty good they were both actually sent by someone named “Mahmood.” It’s the names of the intended recipients that will be of interest. Smart money is on Yeman for the original starting point for these packages. But, maybe that’s just me. I heard the Yemen port is headed by some guy named Mohammed…so no surprise. Ridiculous that the US has no involvement in shipments from other countries…we should be screening all cargo and not leaving it up to foreign countries, especially terrorist countries! Time to stop flights&shipments from terrorist countries! But, sadly will never happen with this bogus POTUS. Yemen is a notorious Al Qaeda stronghold. Helloo – who orders stuff from there or goes there? Its not a tourist destination and the only thing it seems to export are goods of mass destruction. They think they can slip anything by the infidels. While it was a “dry run” as Debbie has said, they’re not giving up on attacking us. We just need to quit playing with these stone age mutants and destroy them. This is our Merry Xmas and Happy Hanukah to you filthy Zionazis. I hope you enjoy your “Holiday”. debbie where do you get your information from? It sounds like you make up EVERYTHING. you’re hopeless, but i didn’t need to tell you that-you low life career and bad looks speaks for itself.